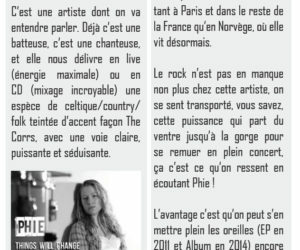 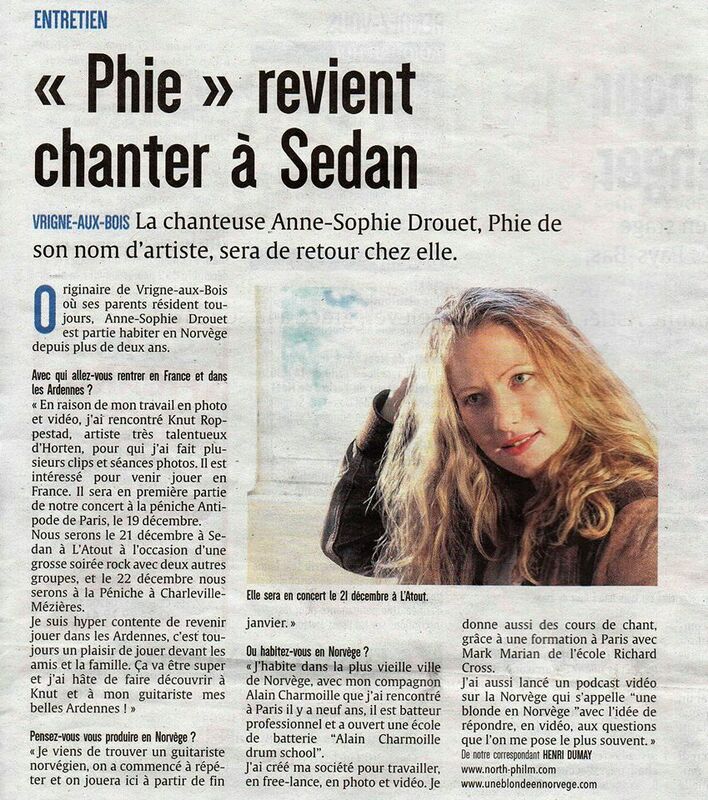 Phie was born in the north of France and lived for 10 years in Paris before going to live in Norway. 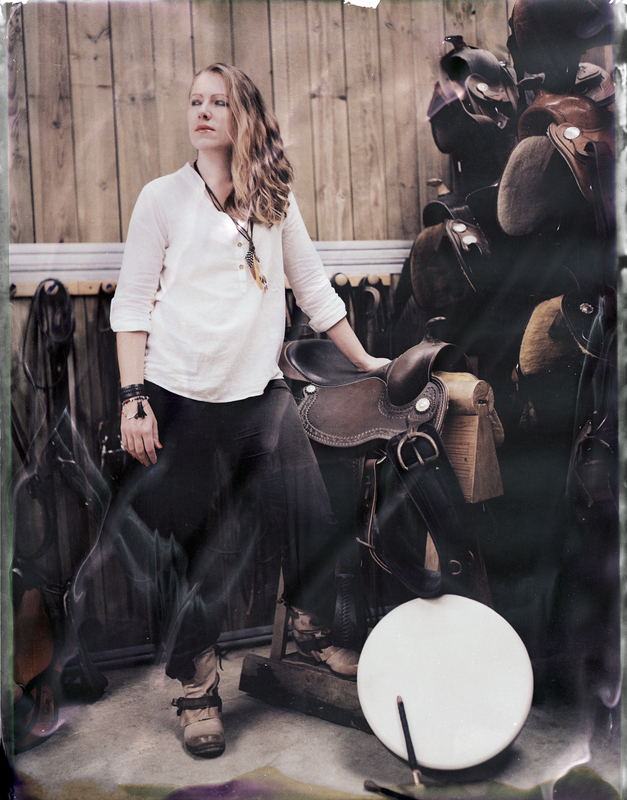 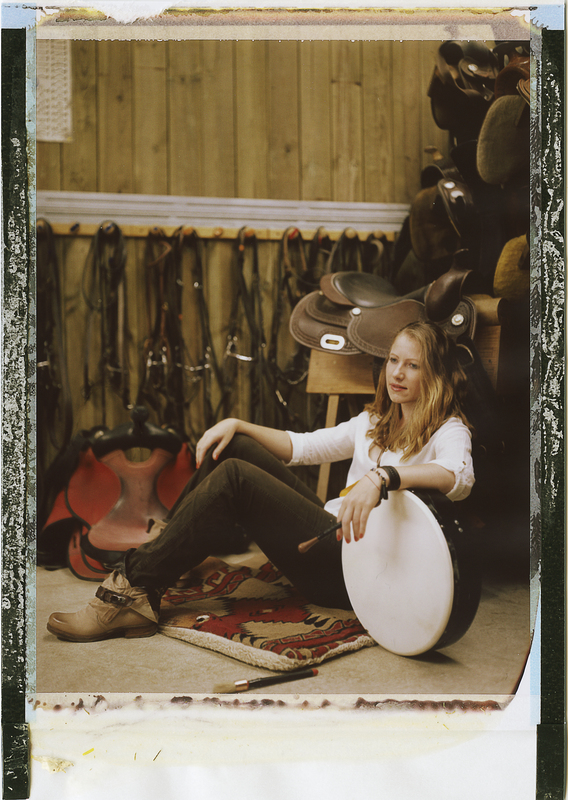 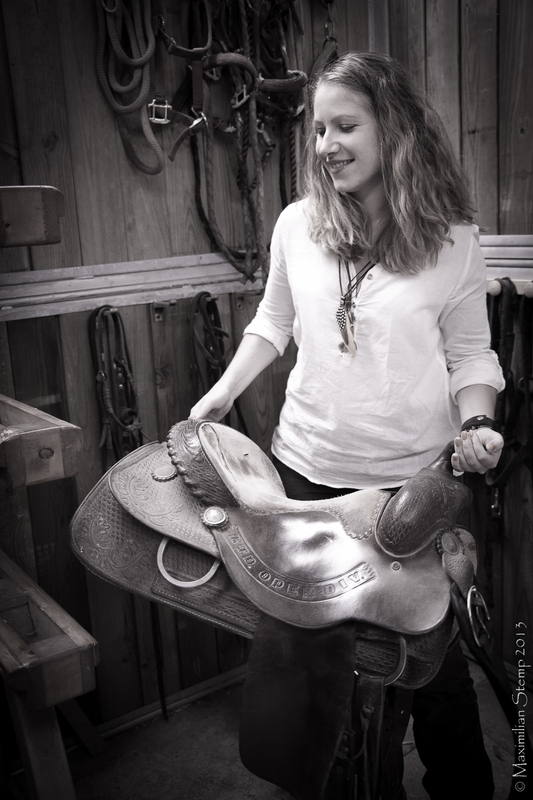 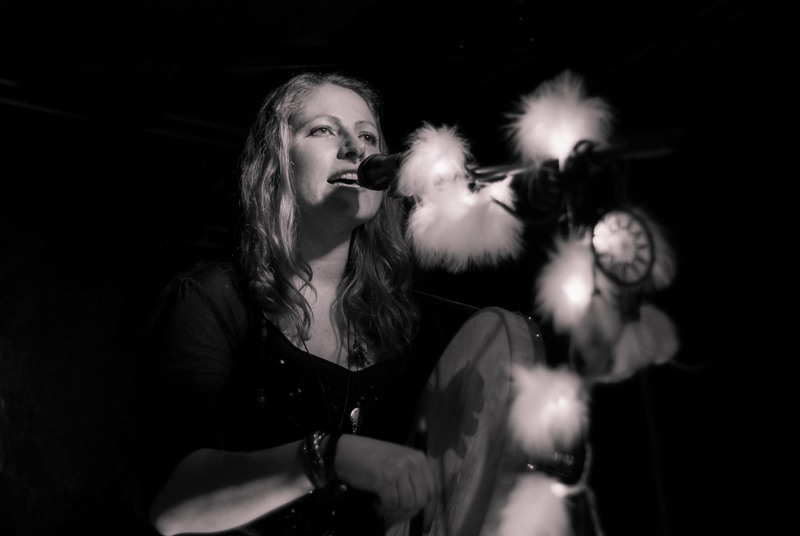 She leads you into a world of pop-folk sounds, both rhythmic and smooth, punctuated from time to time by several more percussive rock-style songs. 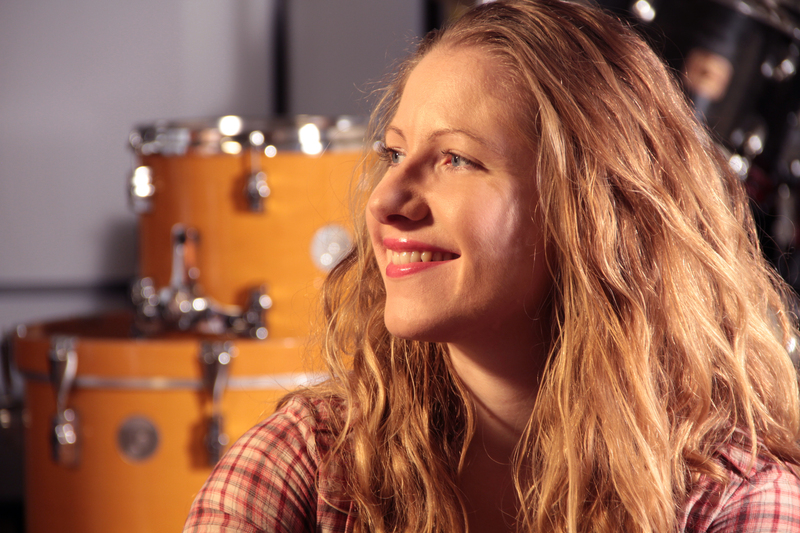 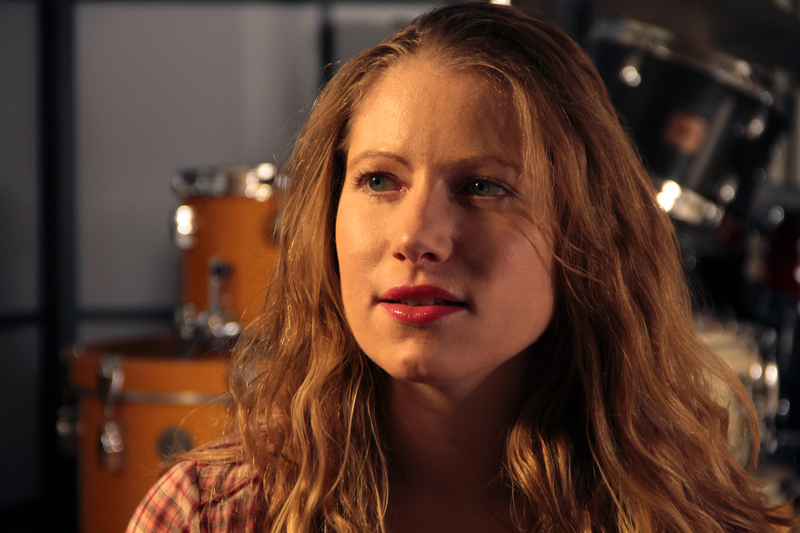 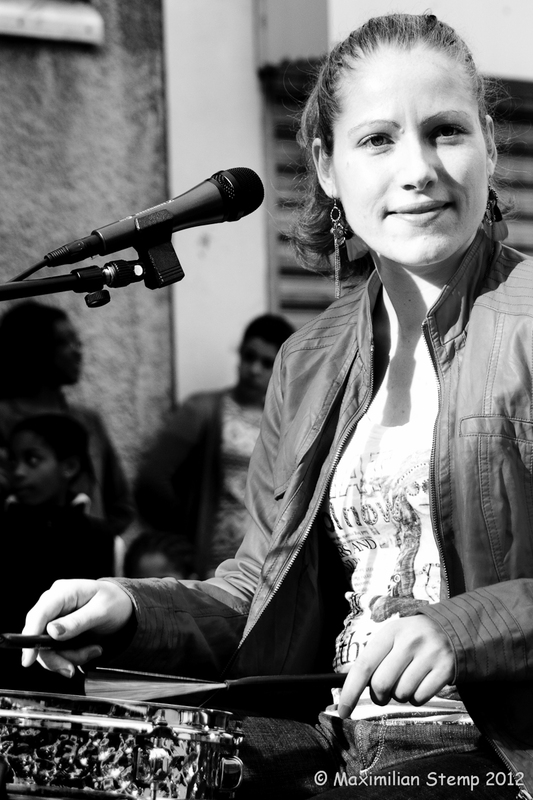 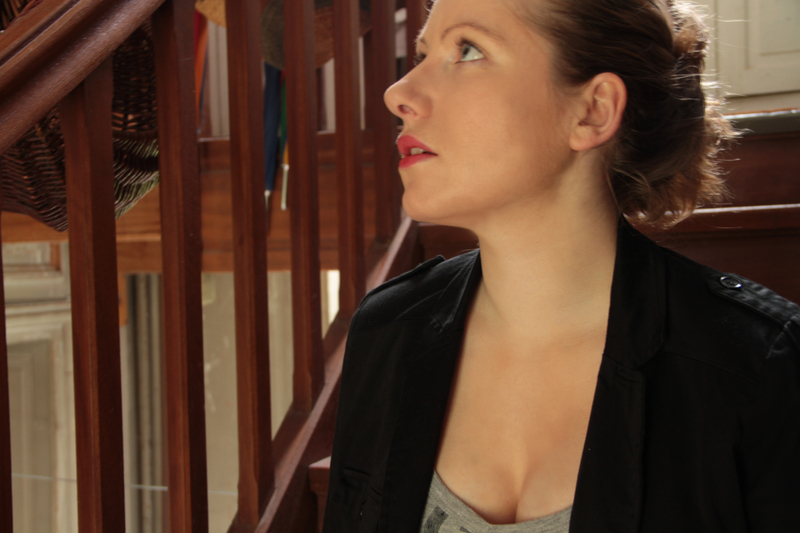 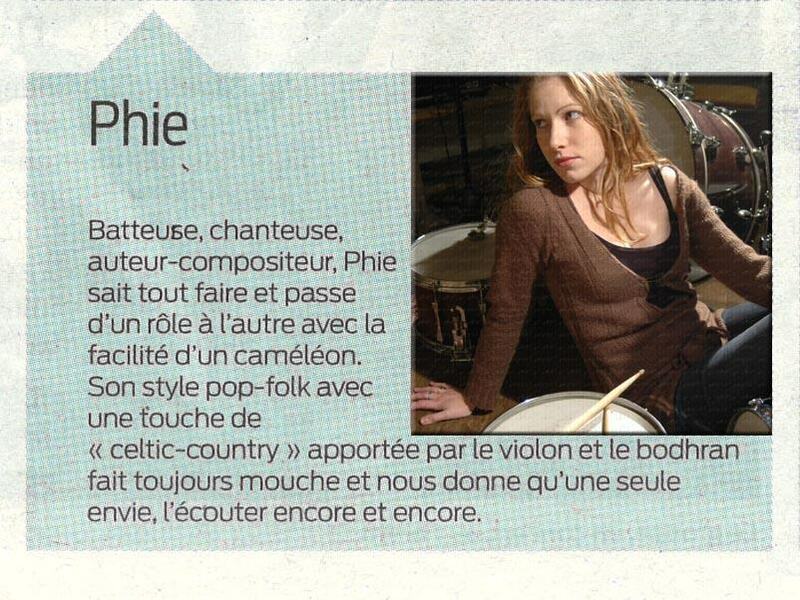 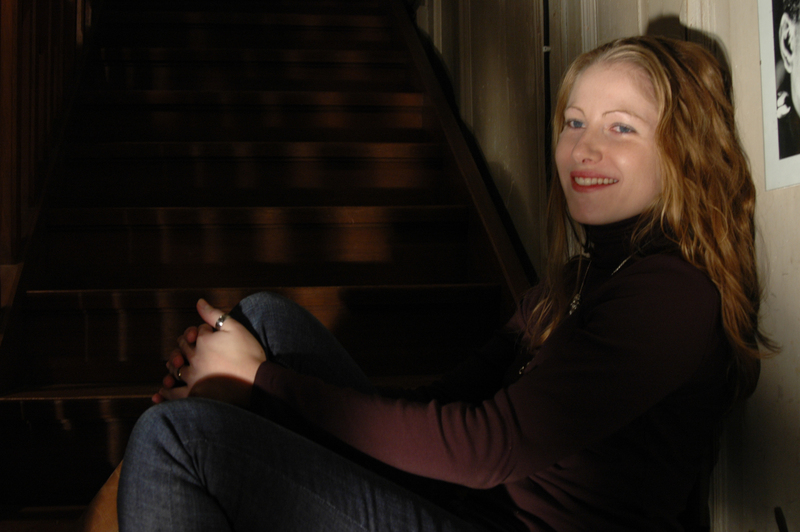 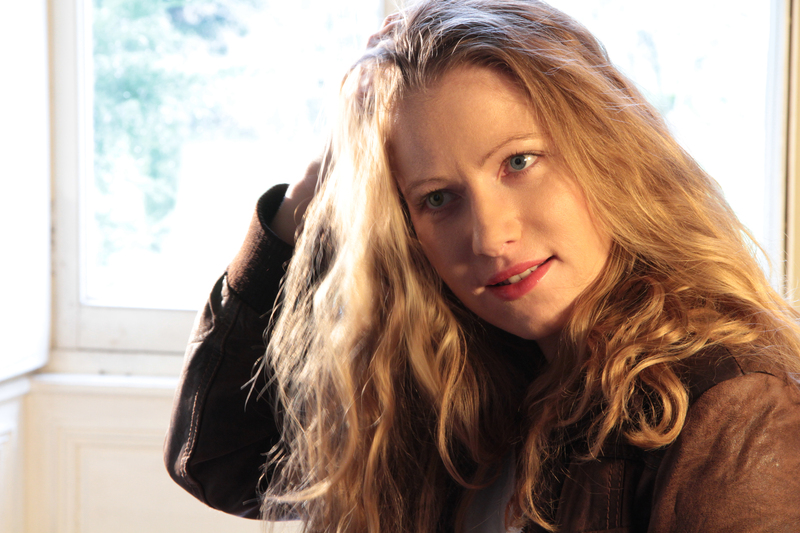 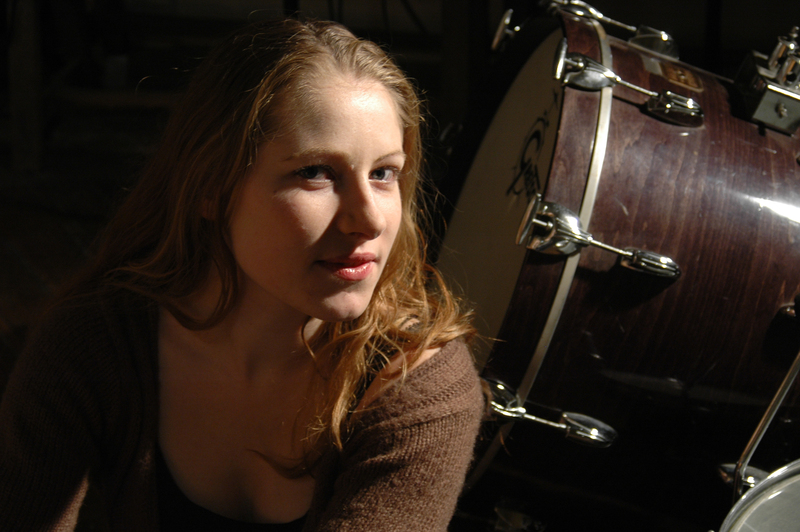 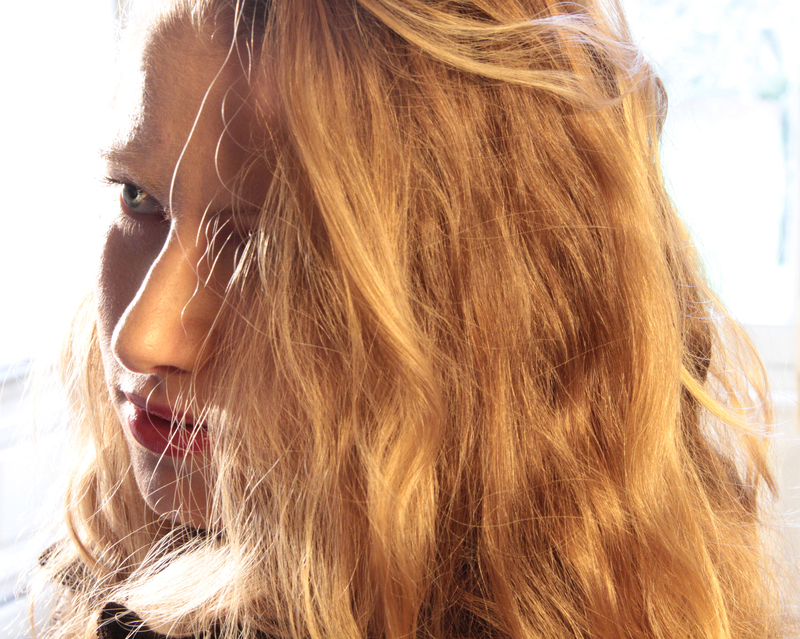 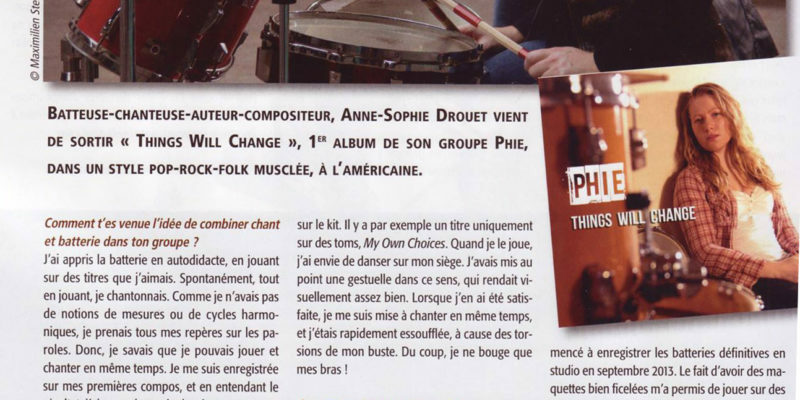 Phie began writing at a very young age and accompanies herself on the piano and the guitar when she composes. 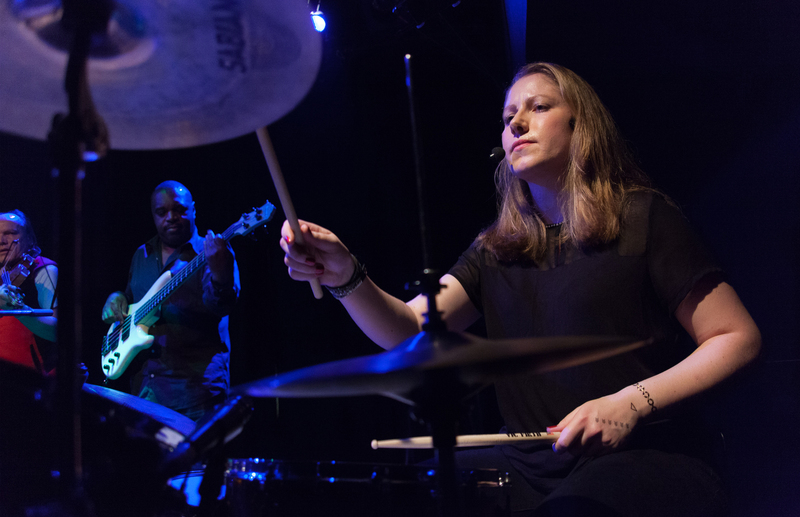 On stage she sings while playing the drums or pecussion releasing high energy waves, then, eases up in an acoustic passage that lets her emotions and feelings flow before returning to her drums to end this project on a highly colorful note rich in sounds and sensations. 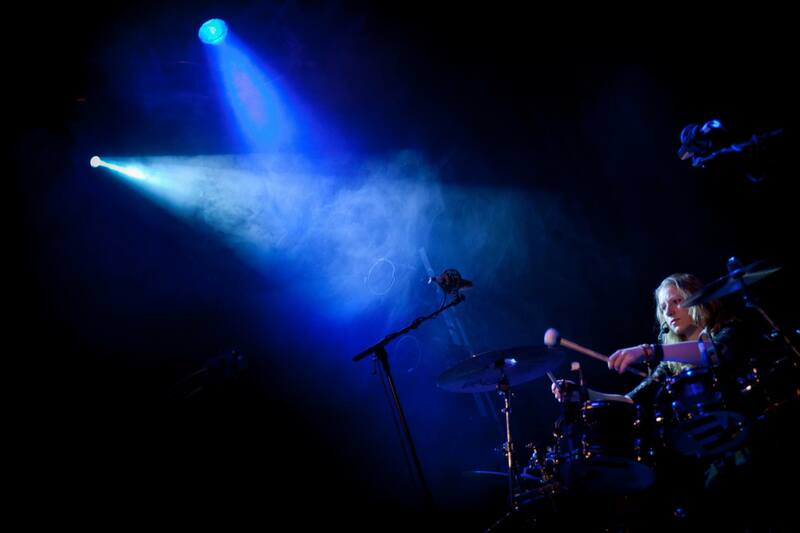 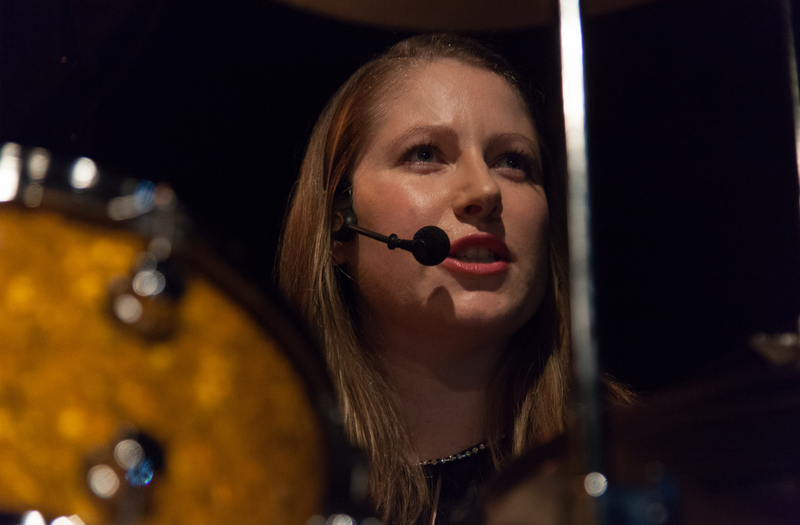 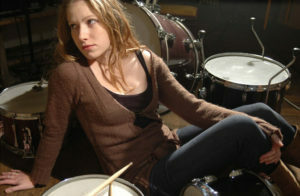 From their first concert, audiences have been captivated by the the originality of the lead vocalist on drums. 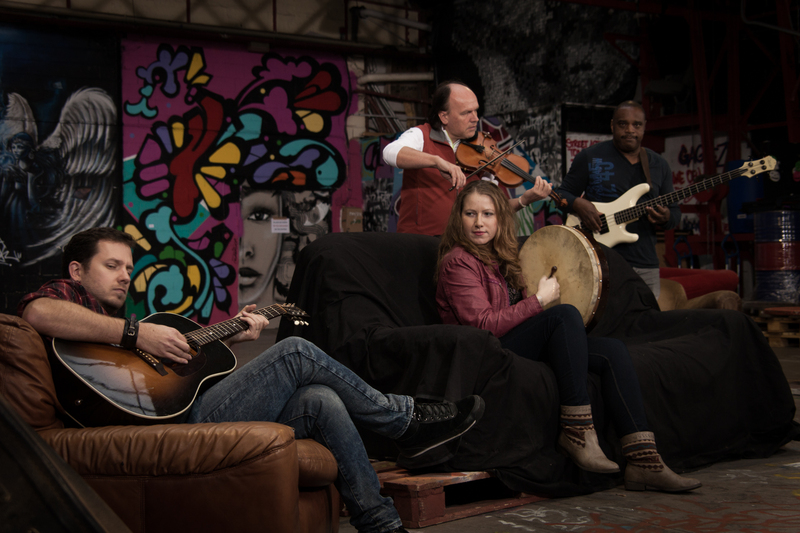 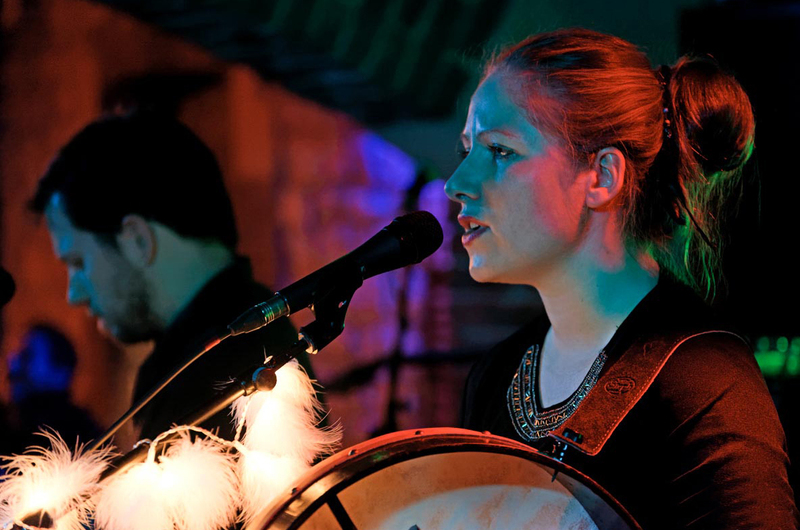 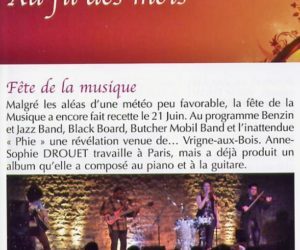 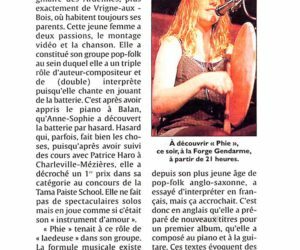 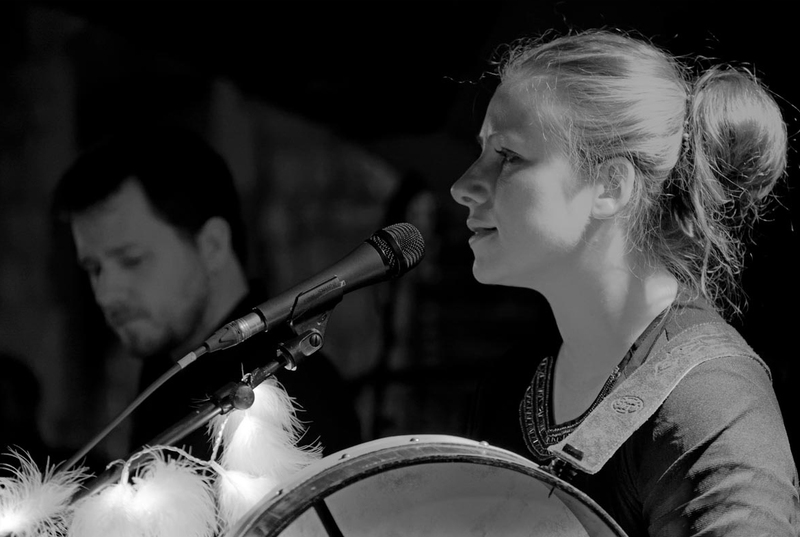 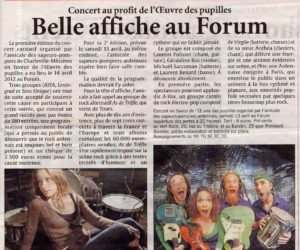 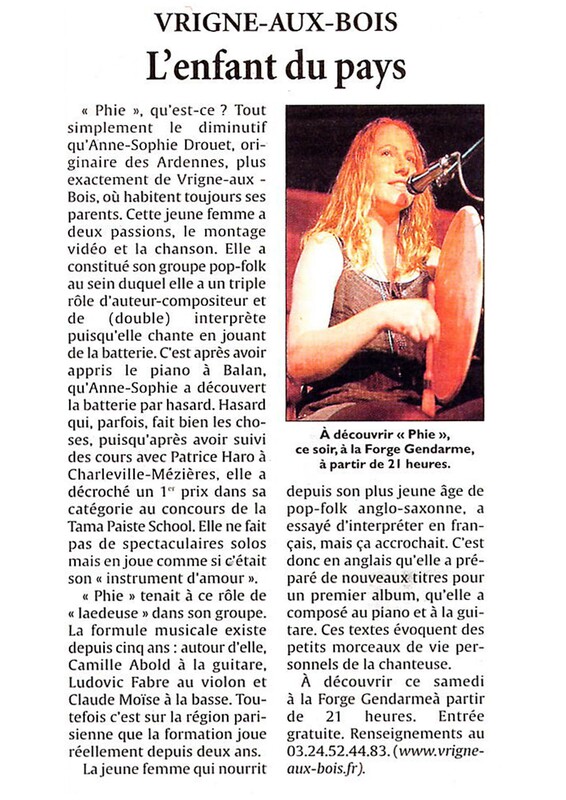 The band’s style is very dynamic and original with a touch of femininity and its music has a strong pop-folk influence with an element of « Celtic Country » provided by the violin and bodhrán. 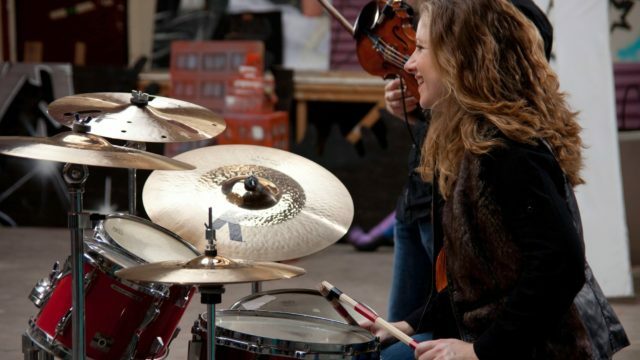 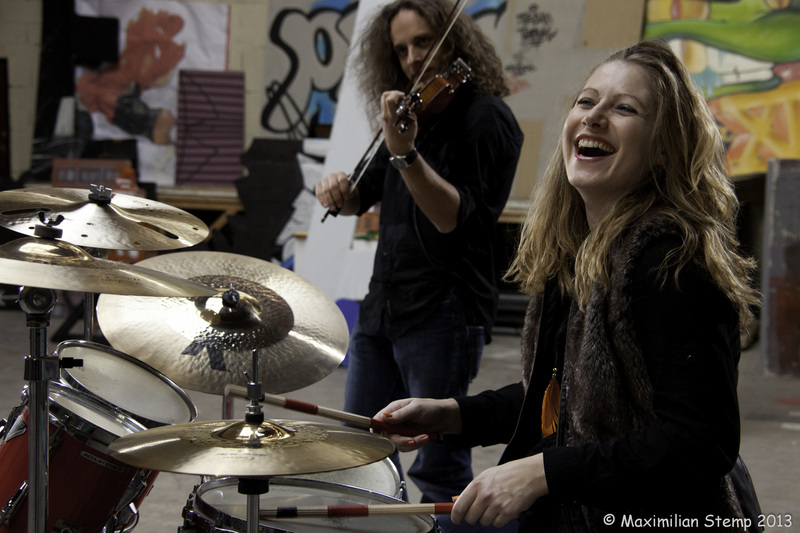 Depending on conditions and needs, we can play the set as an acoustic duo (guitar, vocals and percussion), as a trio with a violinist or as a quartet with a bassist. 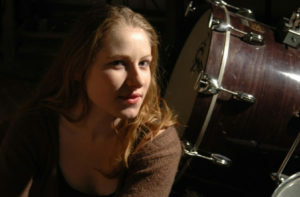 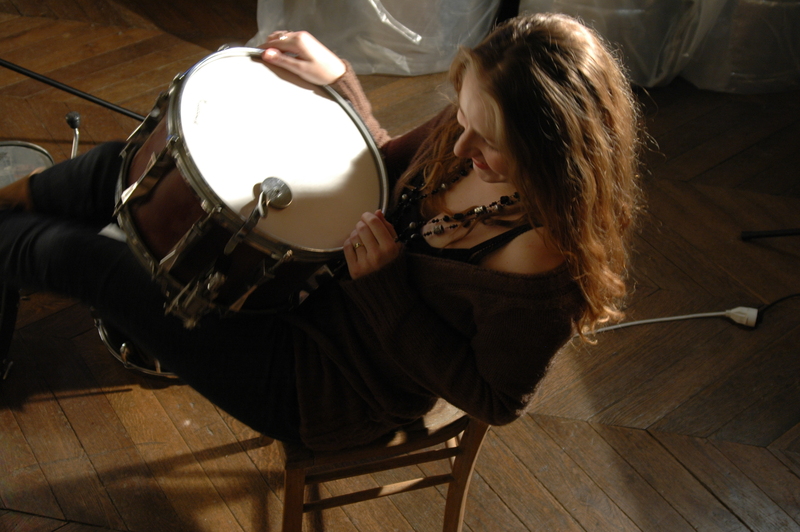 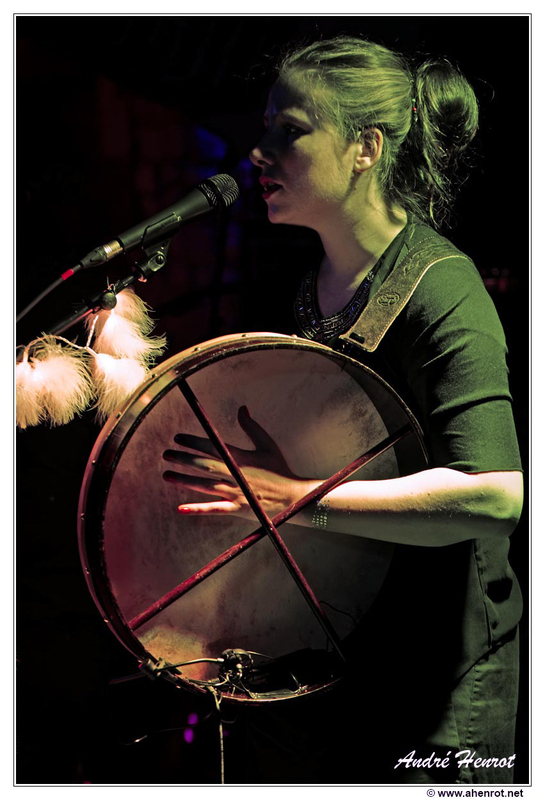 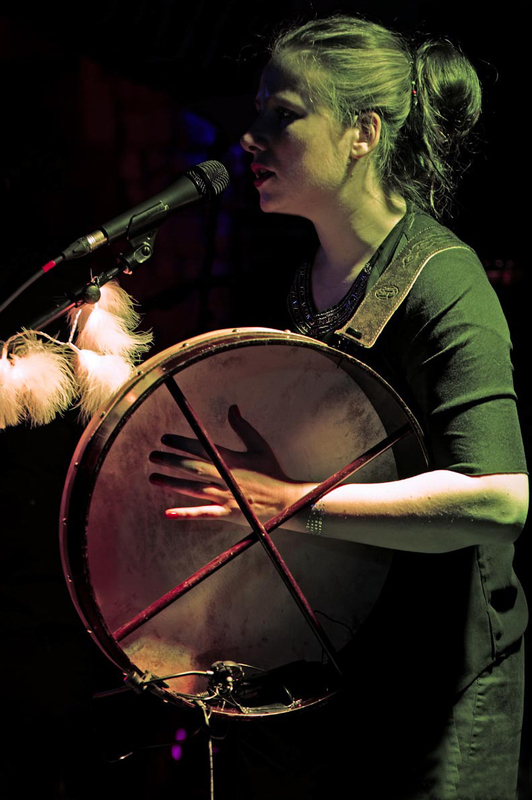 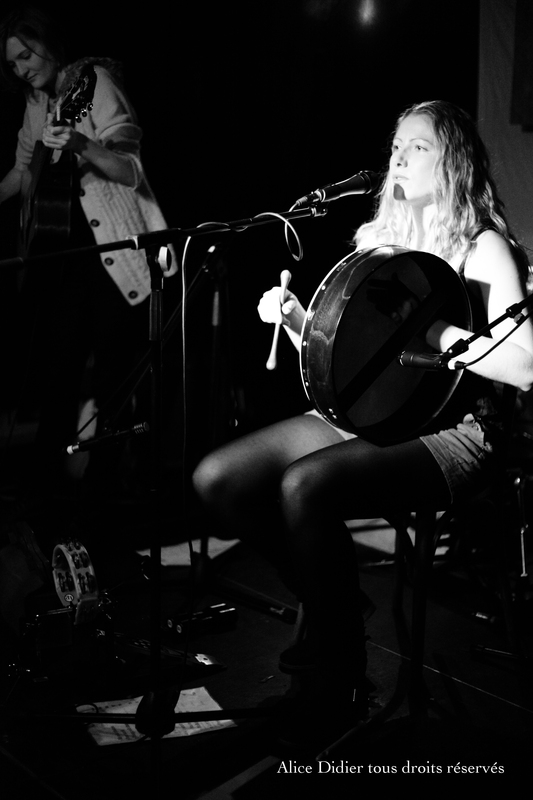 During those acoustics set, she plays the bodhrán, shakers and tambourine. 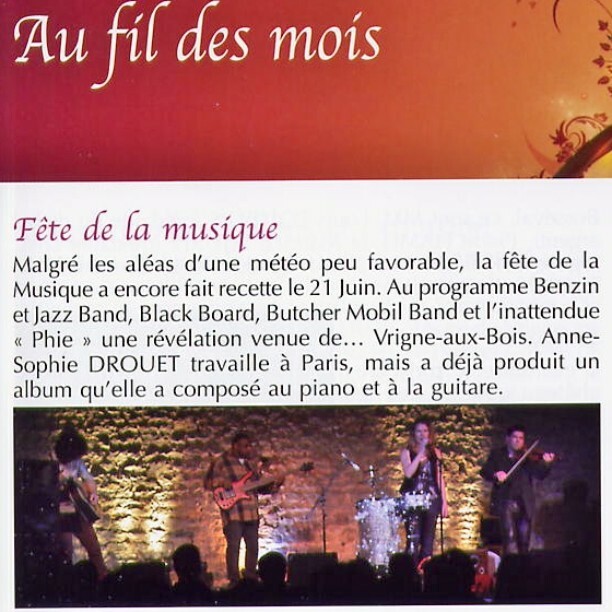 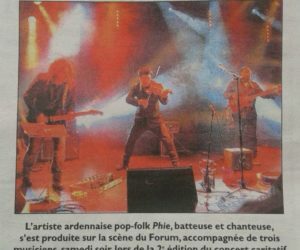 French musicians : Guitars/back vocals : Thomas Fremont, Bass : Claude Moise, Violin : Ludovic Favre. 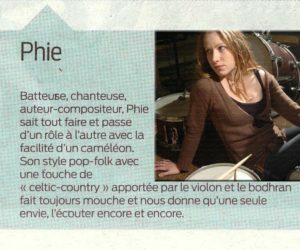 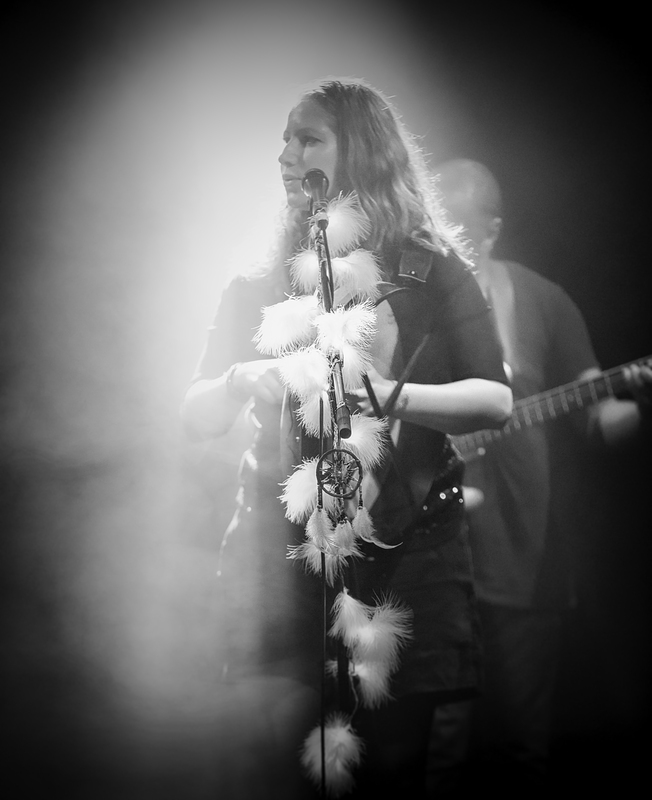 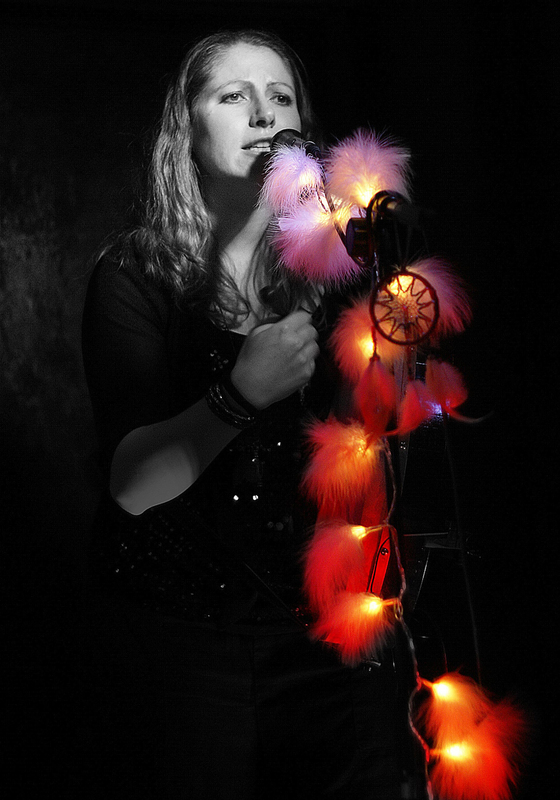 Phie can play private shows for you in duo acoustic or semi acoustic full band. 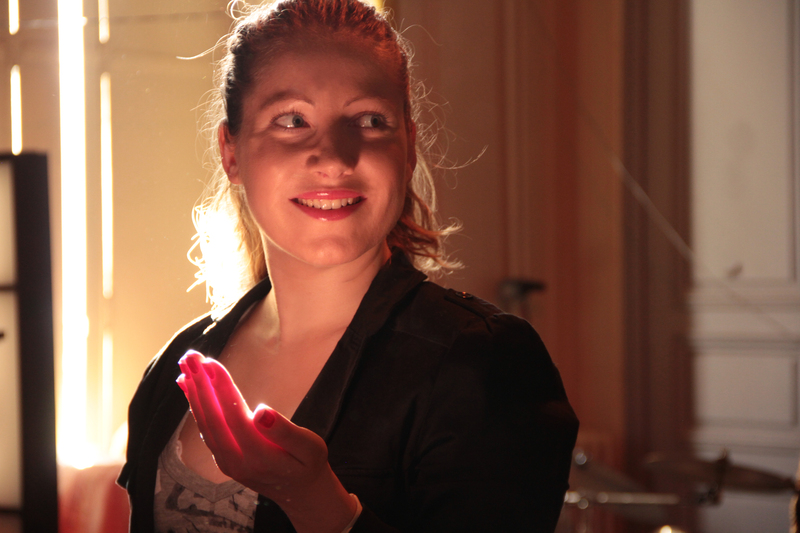 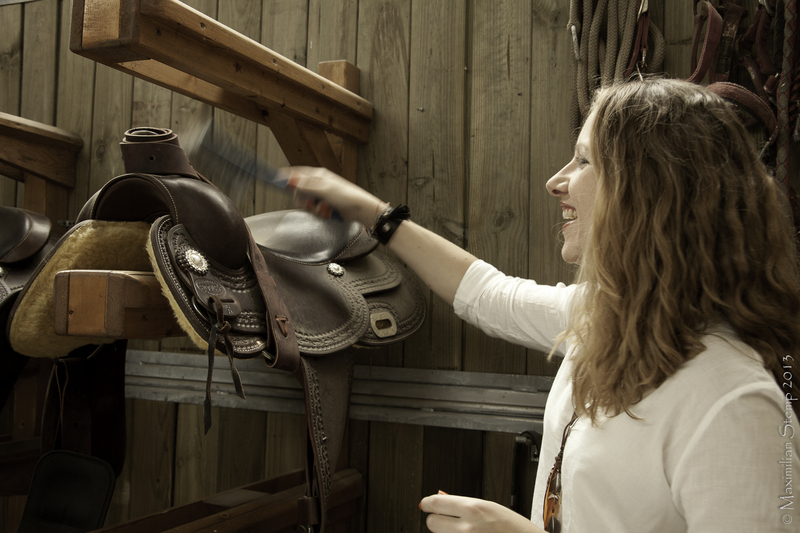 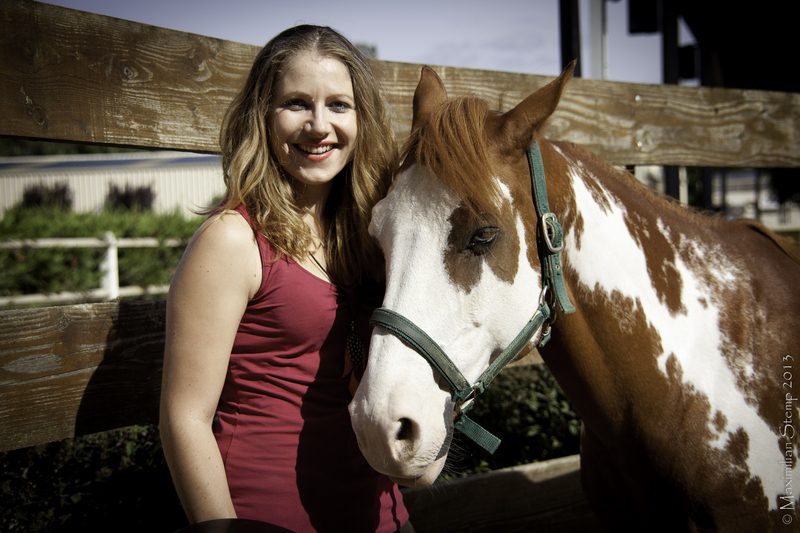 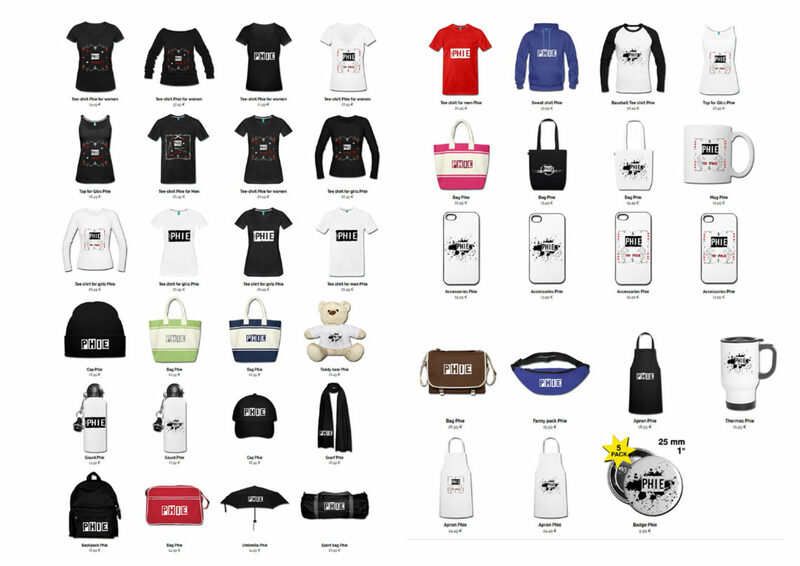 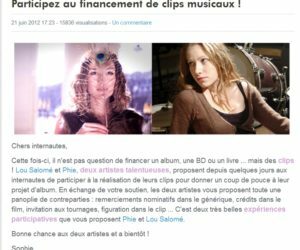 Financed by fans through a crowdfunding platform : My major company. 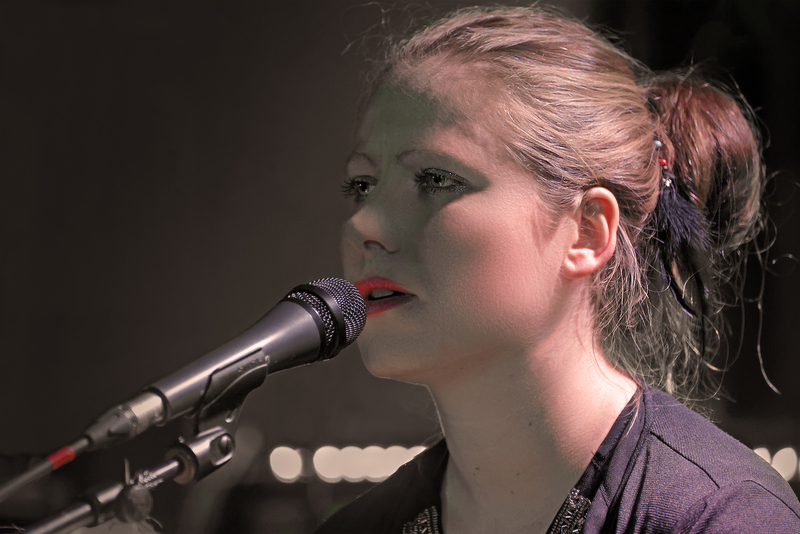 Gjennom årene har jeg jobbet med flere trenere som lærte meg så mye om vokalteknikk og sceneadferd. 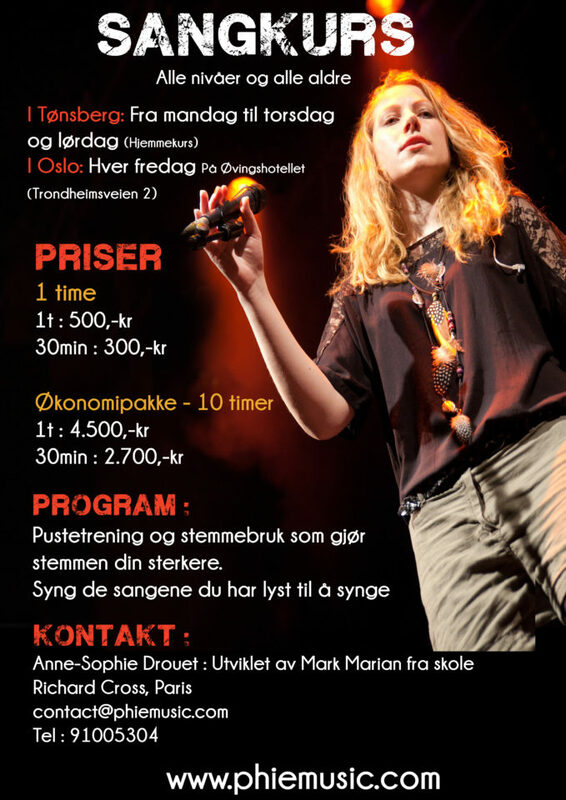 Sang gjør at du føler så mange forskjellige ting, gjennom kropp og sinn. 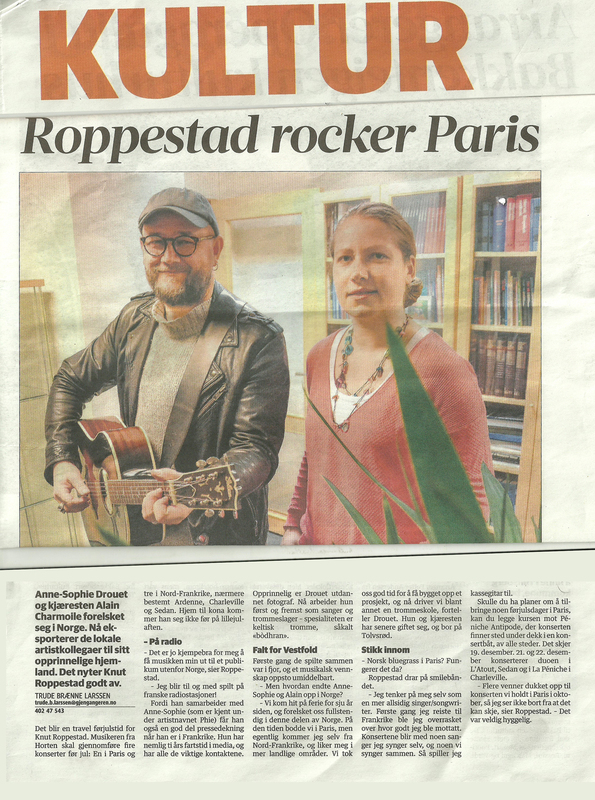 Aldri glem at sangen er som å puste, så vi vil jobbe med det også. 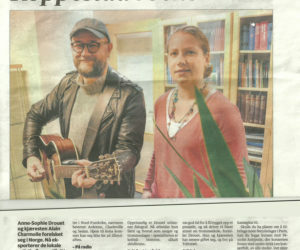 Jeg vil gjerne dele min erfaring med deg. 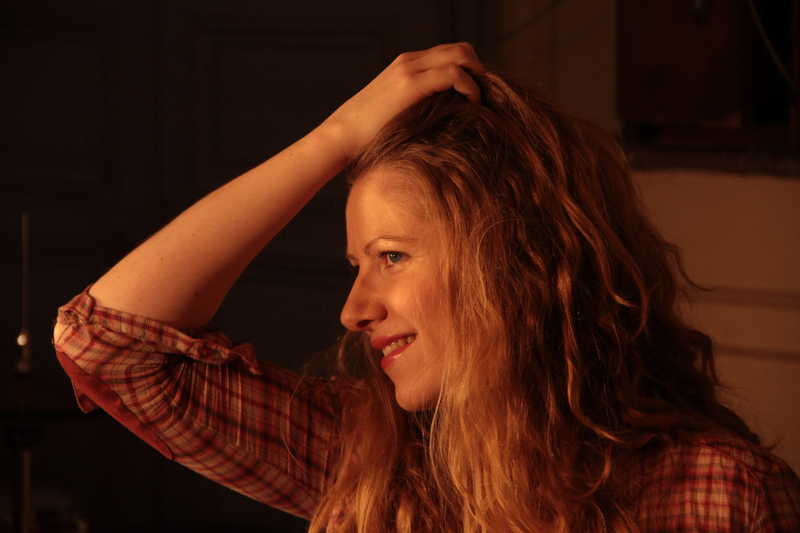 Ta gjerne kontact med meg. 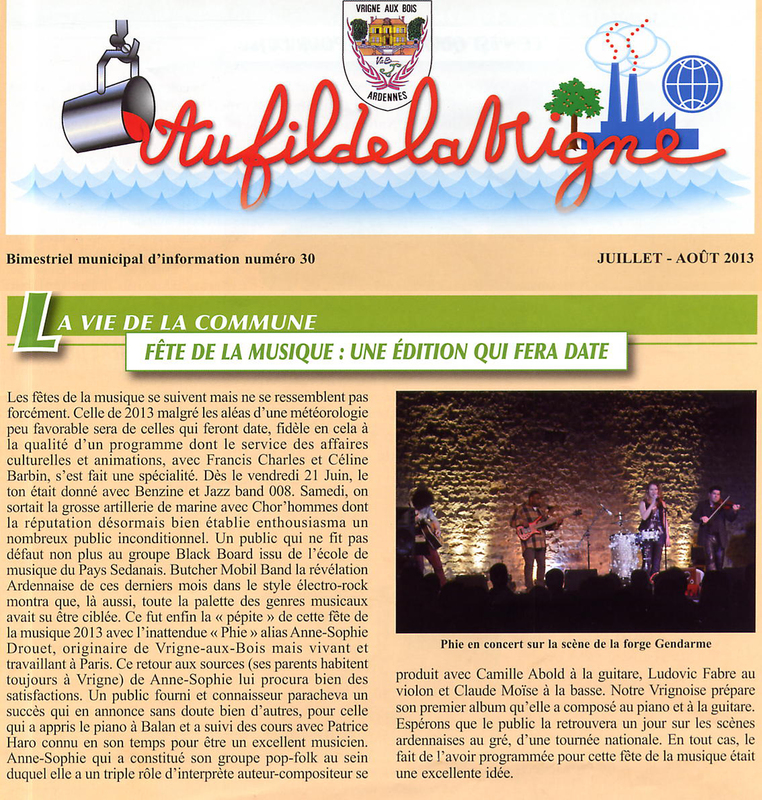 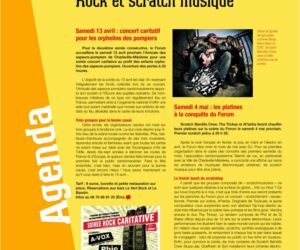 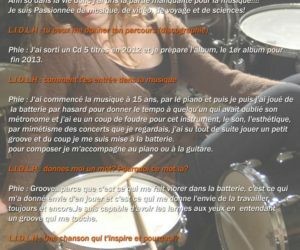 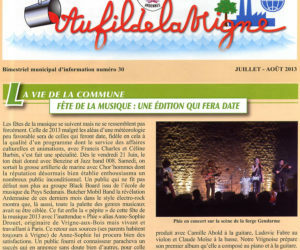 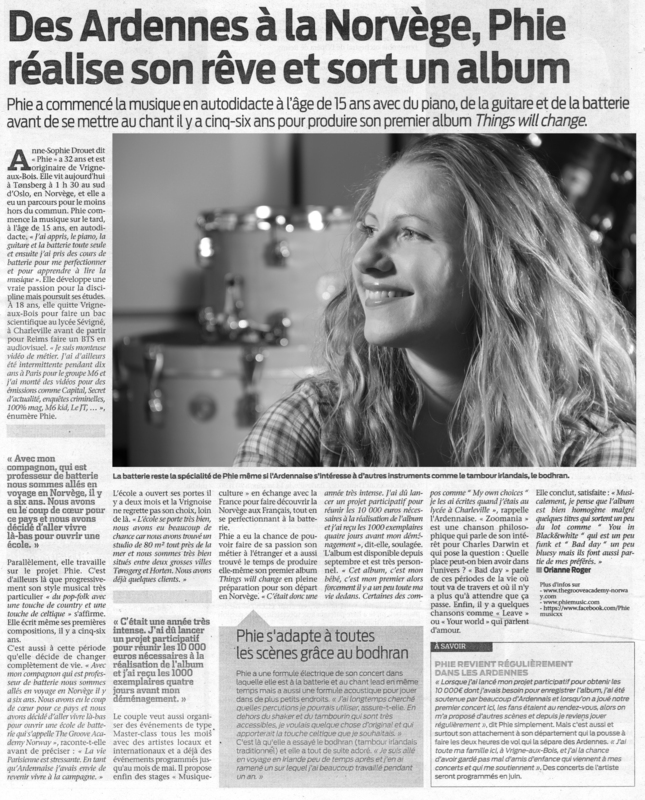 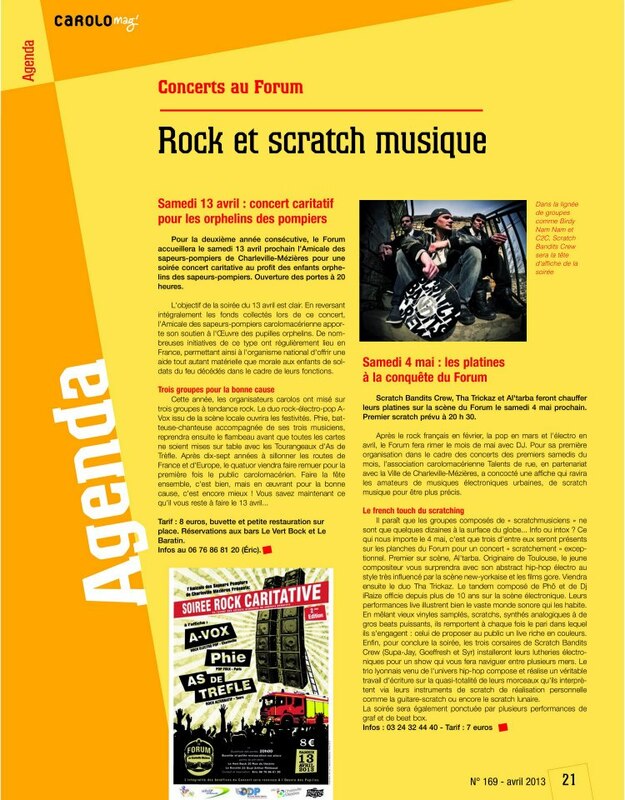 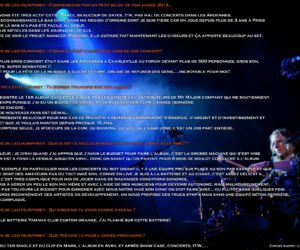 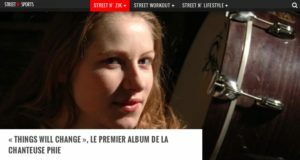 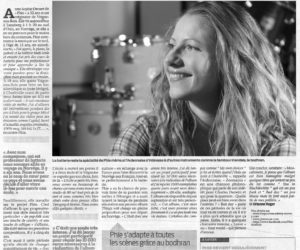 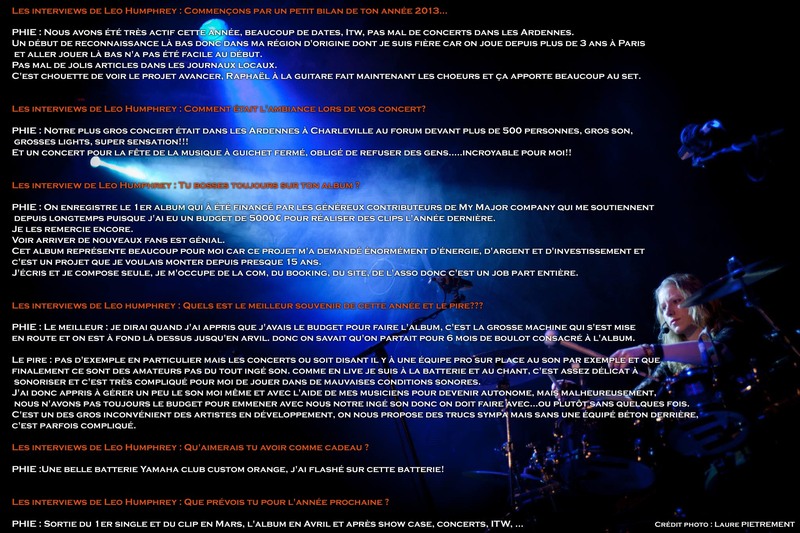 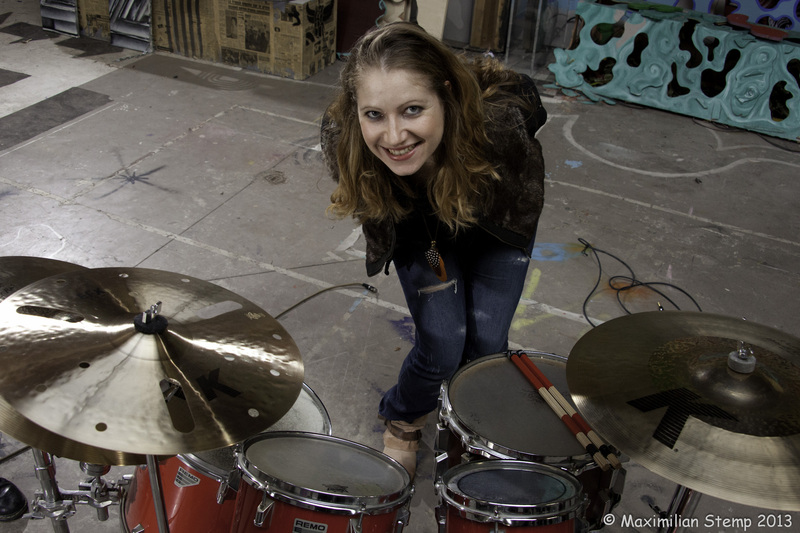 Mars 10 : ITW for « Street N’ Zik ». 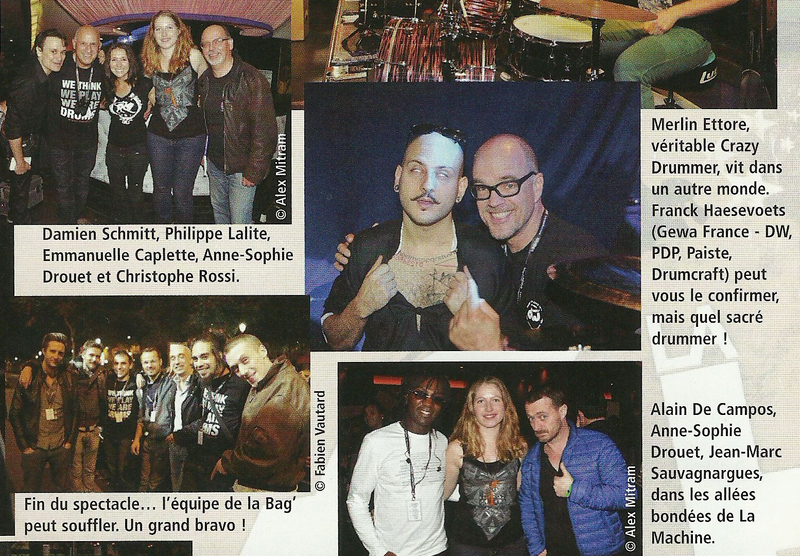 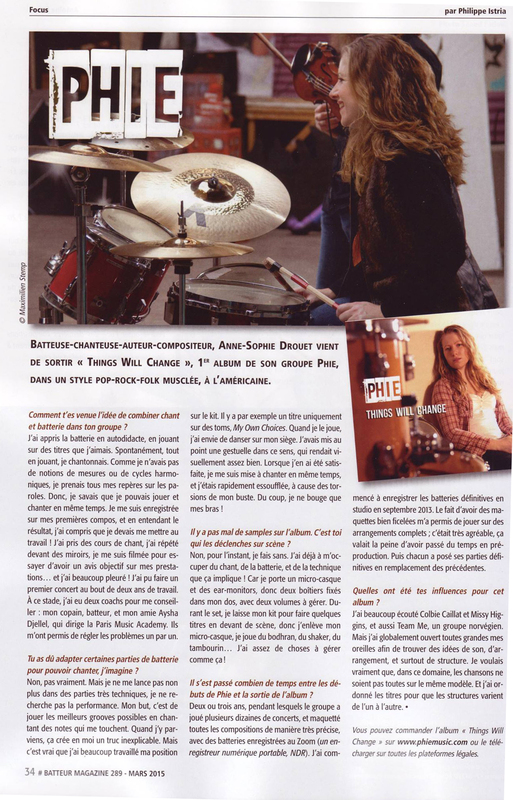 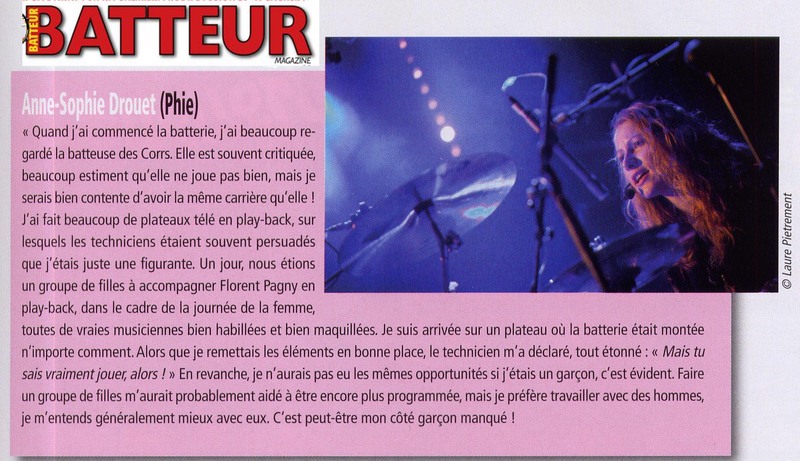 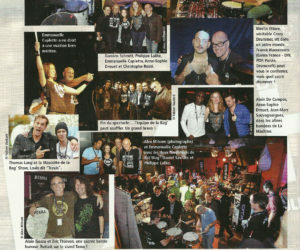 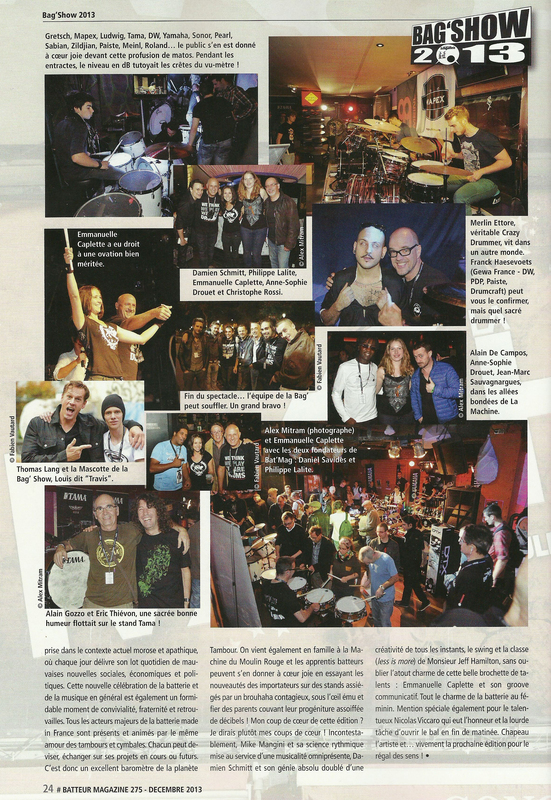 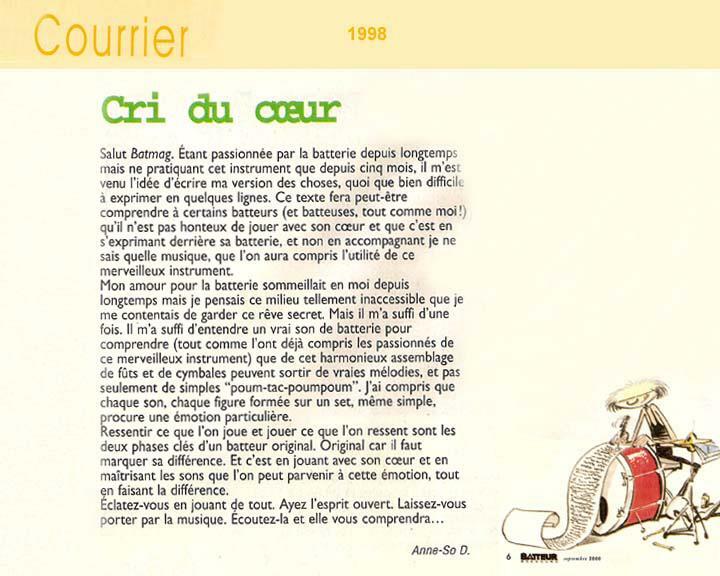 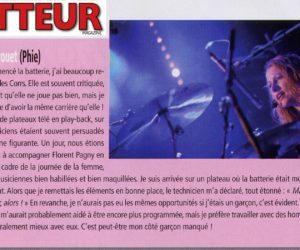 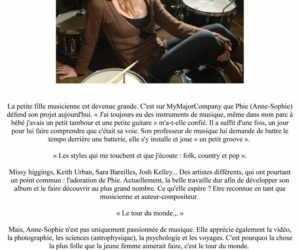 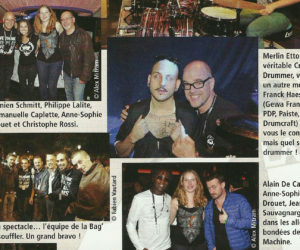 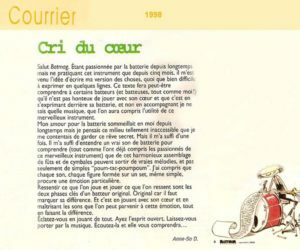 Mars 3 : ITW « Batterue magazine ». 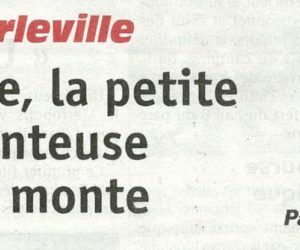 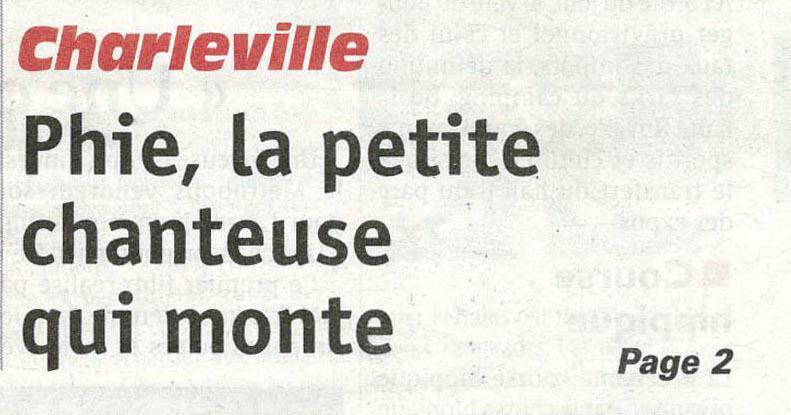 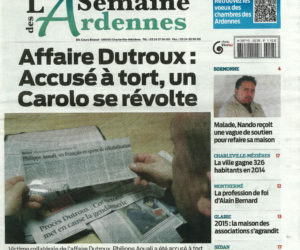 January 10 : ITW pour « La semaine des Ardennes ». 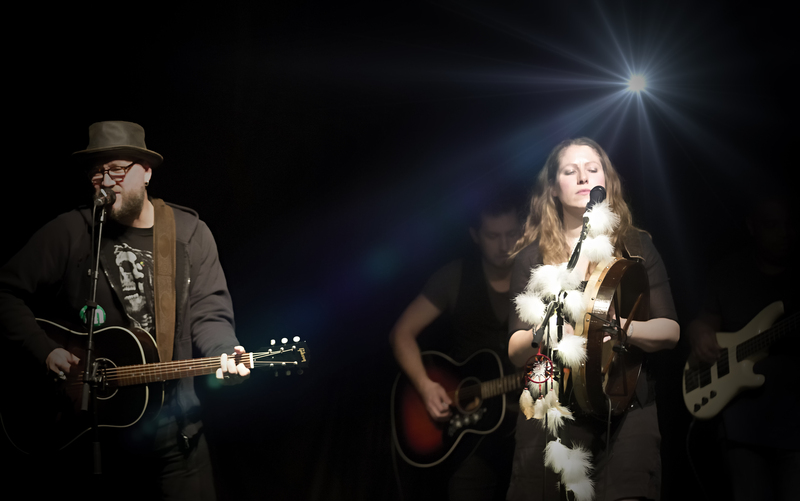 June 27 : Privat acoustic live for M6. 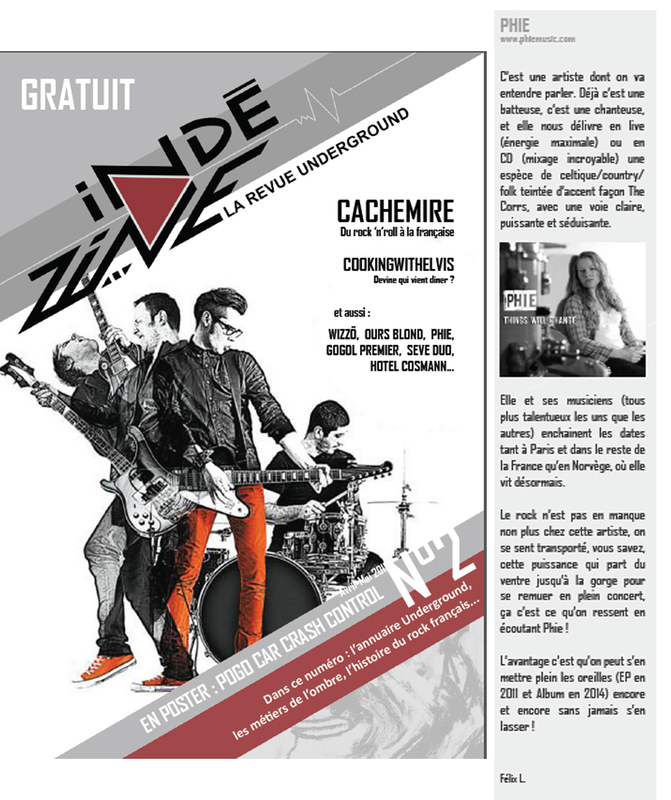 May 11 : ITW + acoustic live for Radio Bouton. 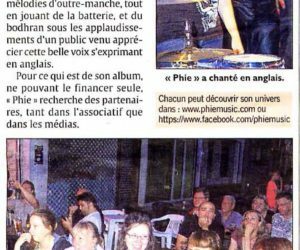 May 11 : Acoustic live at « Kindling pub » Charleville (08). 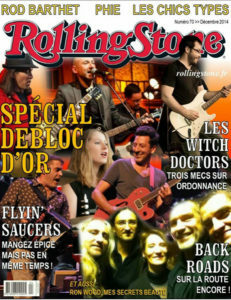 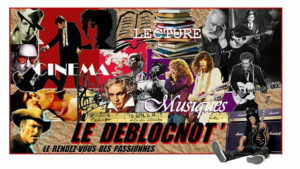 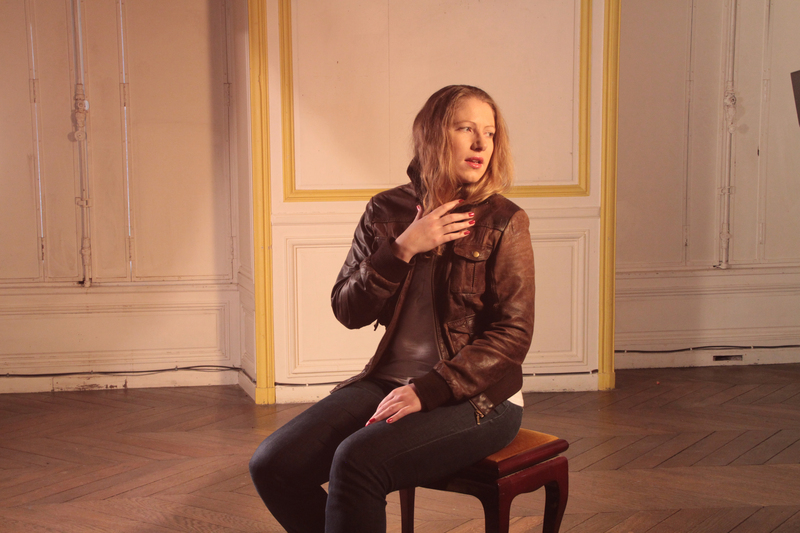 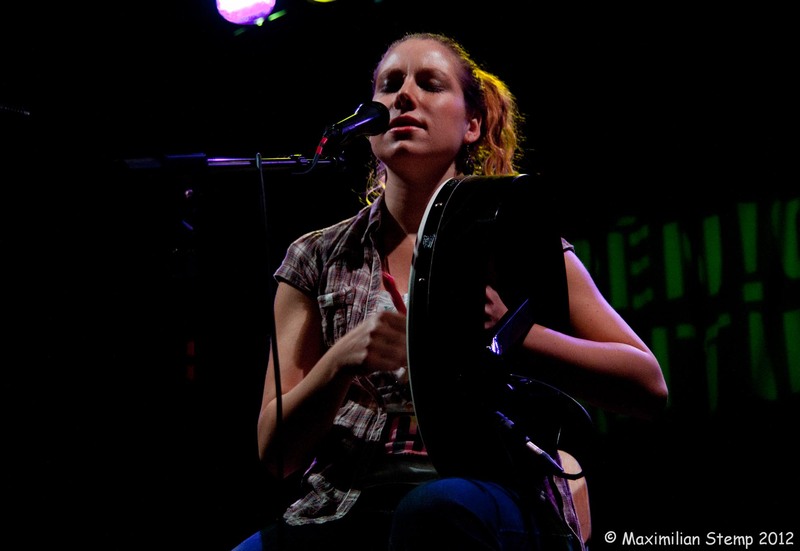 April 20 : Acoustic live « à toi de jouer ». 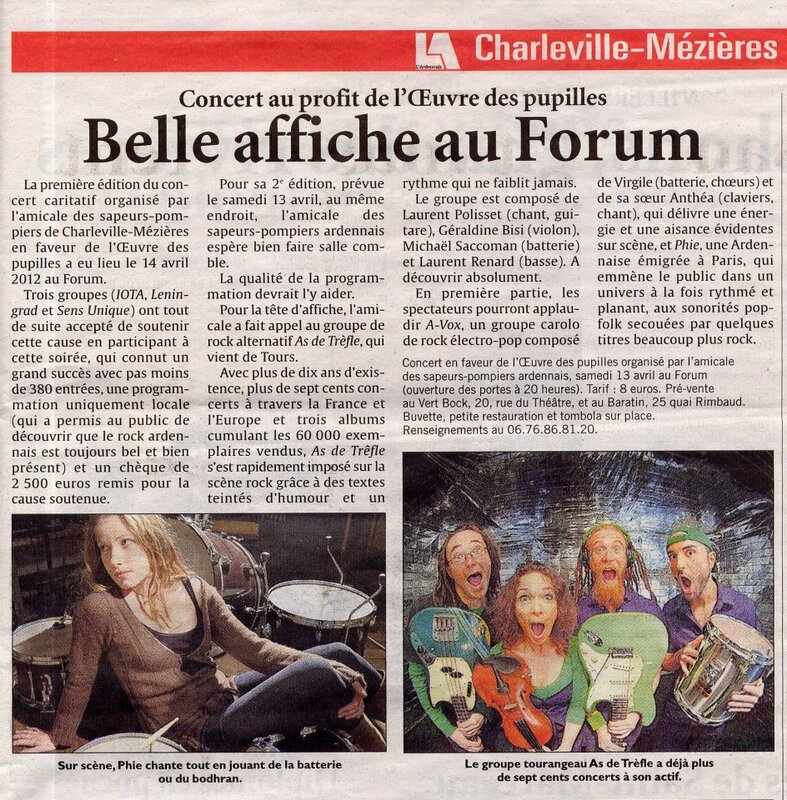 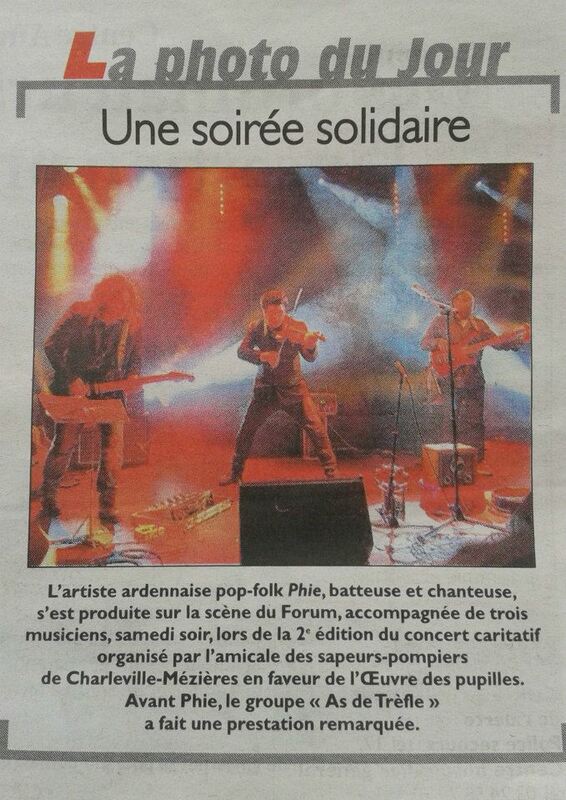 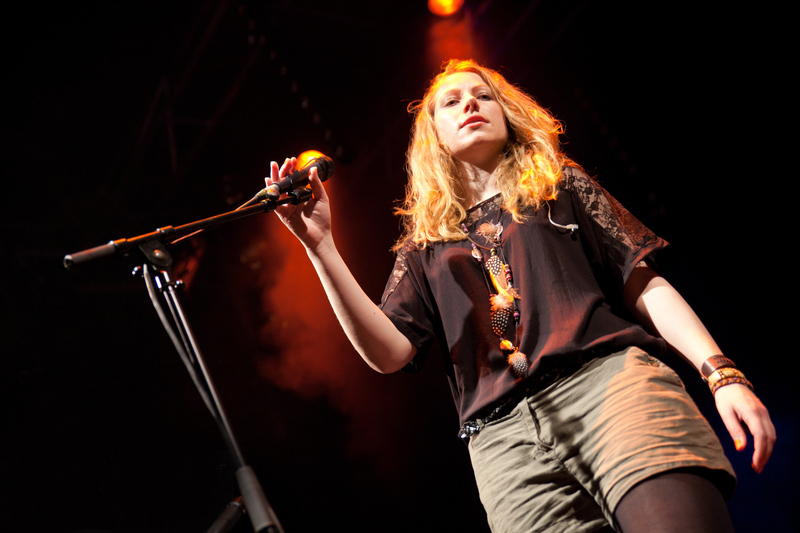 April 13 : Electric live at « Forum » Charleville (08). 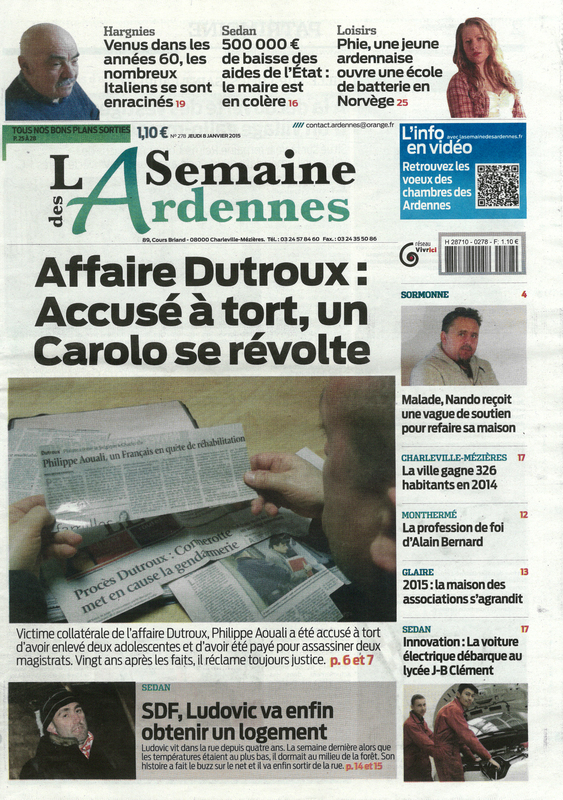 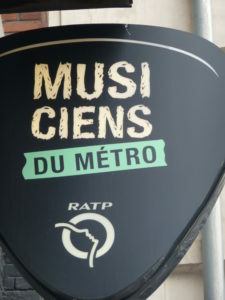 March 14 : ITW L’Ardennais. 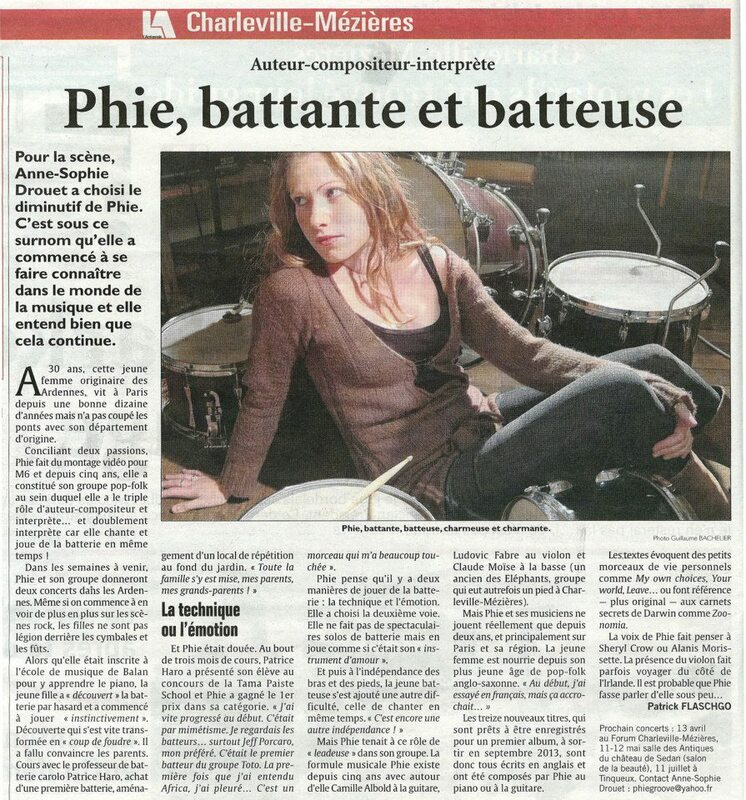 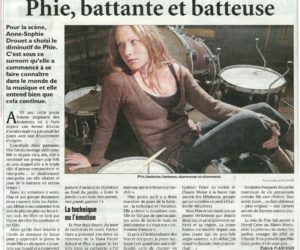 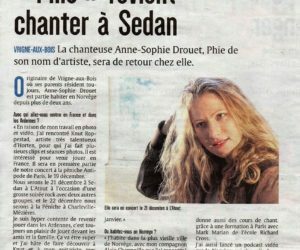 March 10 : ITW « La p’tite scène ». 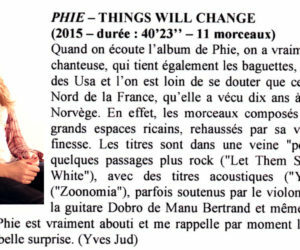 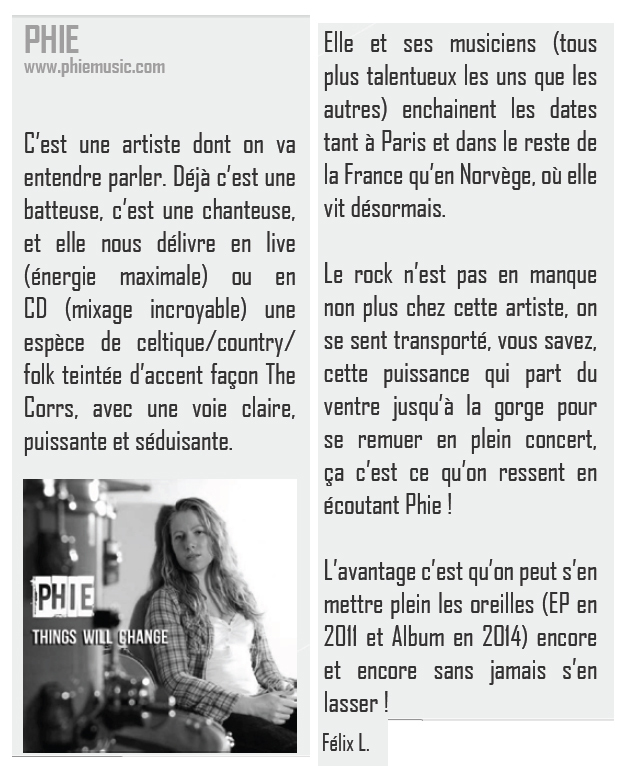 March 08 : Phoner ITW for Cigale Fm (Reims).(90.5). 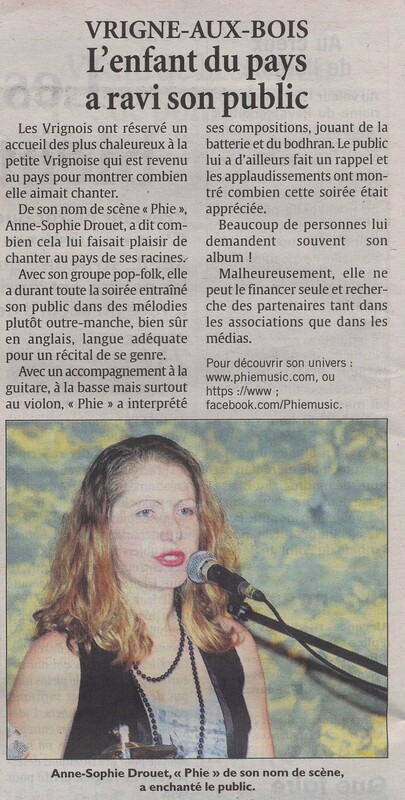 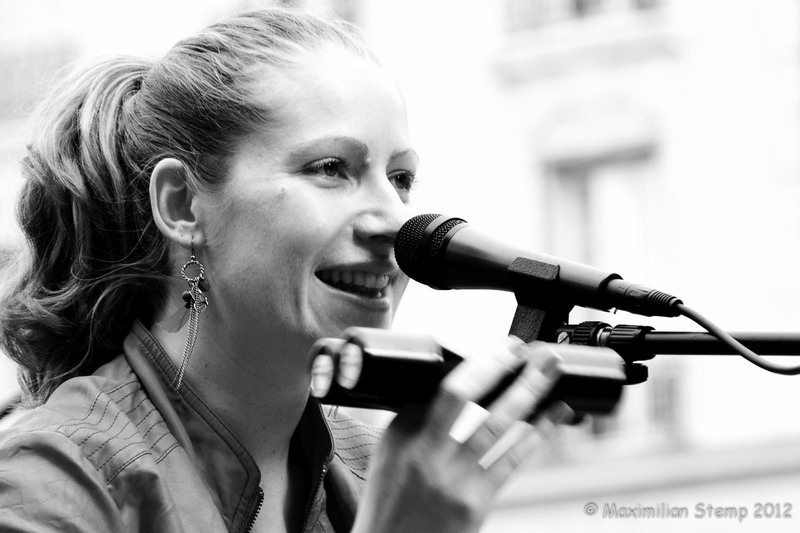 December 17 : Acoustic live at La petite seine restau-concerts. 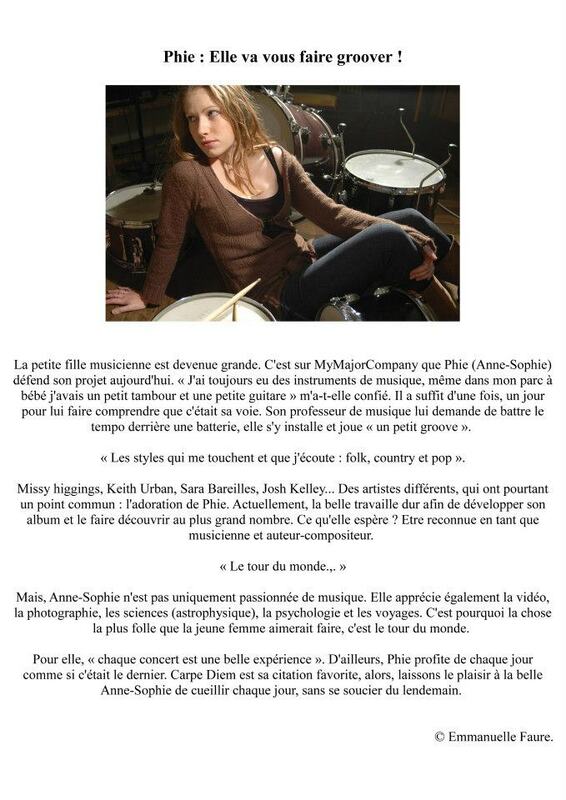 December 16 : Music video shooting »My own choices ». 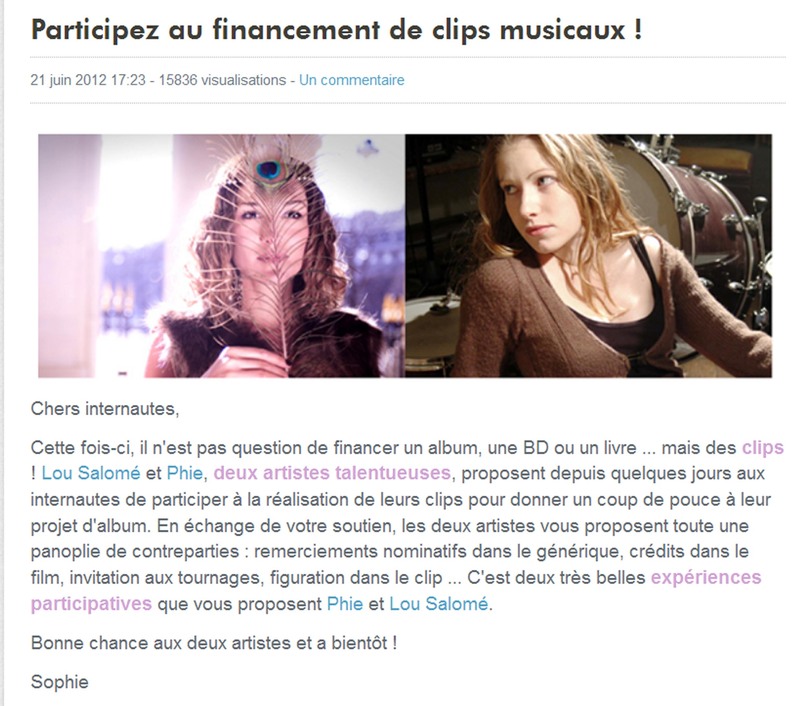 December 10 : 5000 € on My Major Compagny . 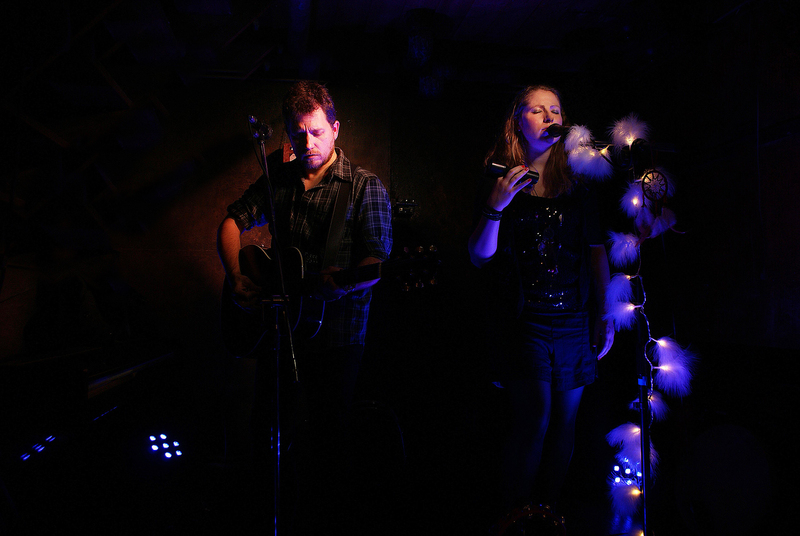 February 02 : Acoustic live at « Must ». 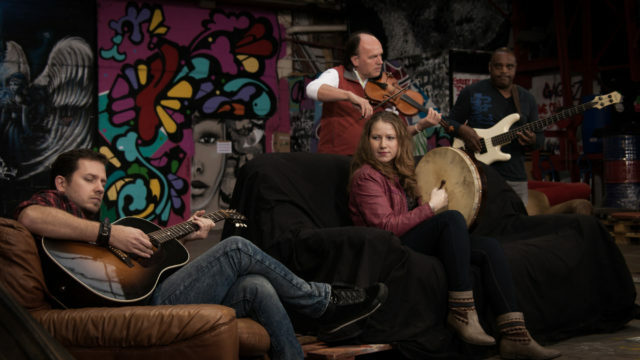 April 10 : Acoustic live at « 24 Bis ». 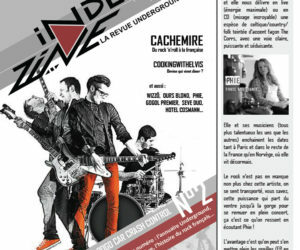 June 20 : Acoustic live at « Le Cavern ». 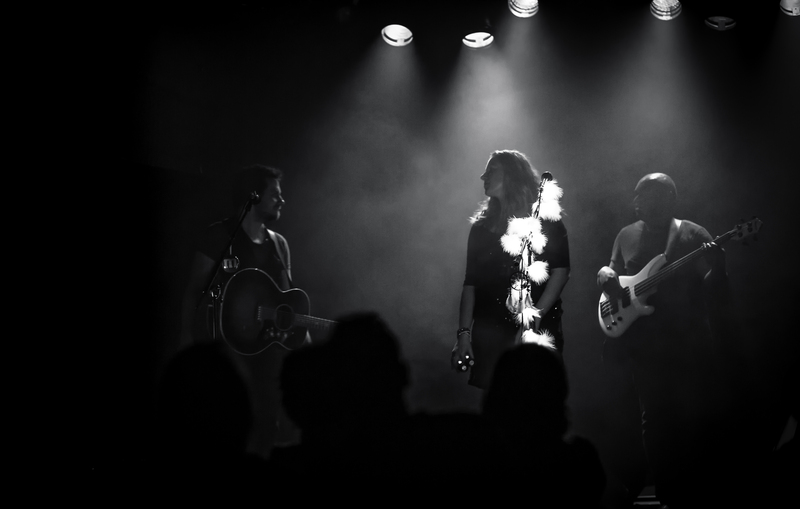 October 03 : Privat acoustic live for M6. 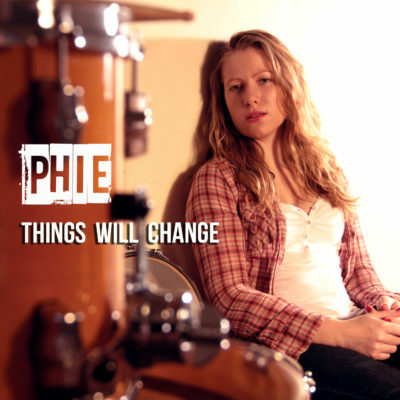 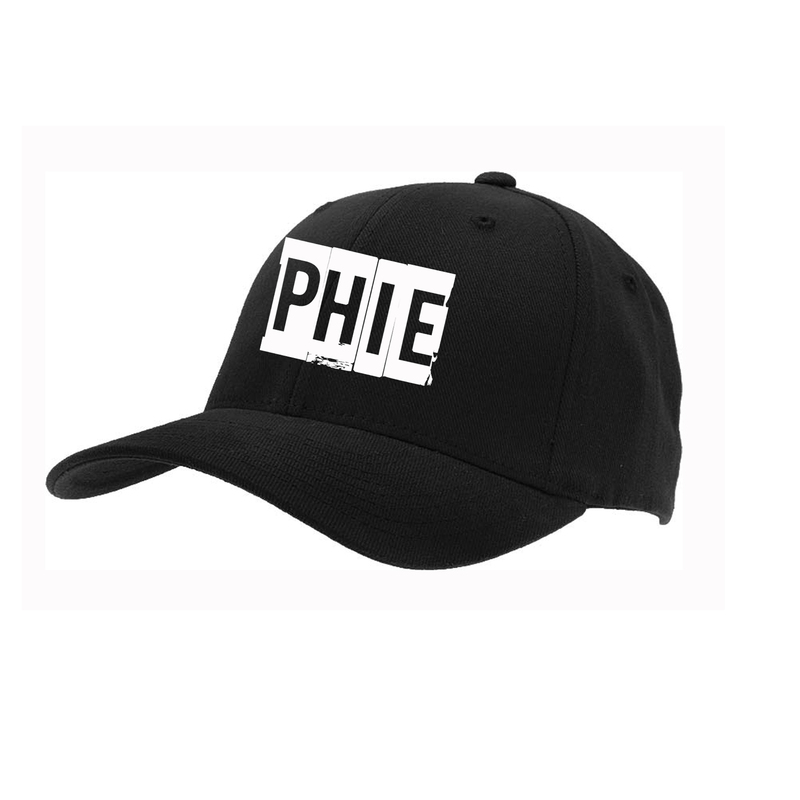 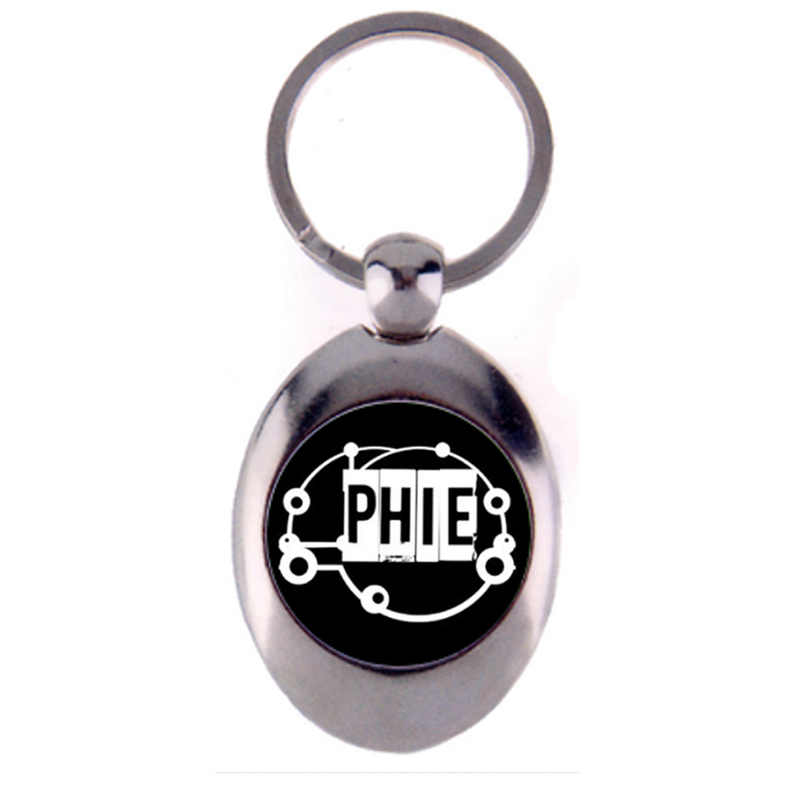 Phie can come at your place for a private concert. 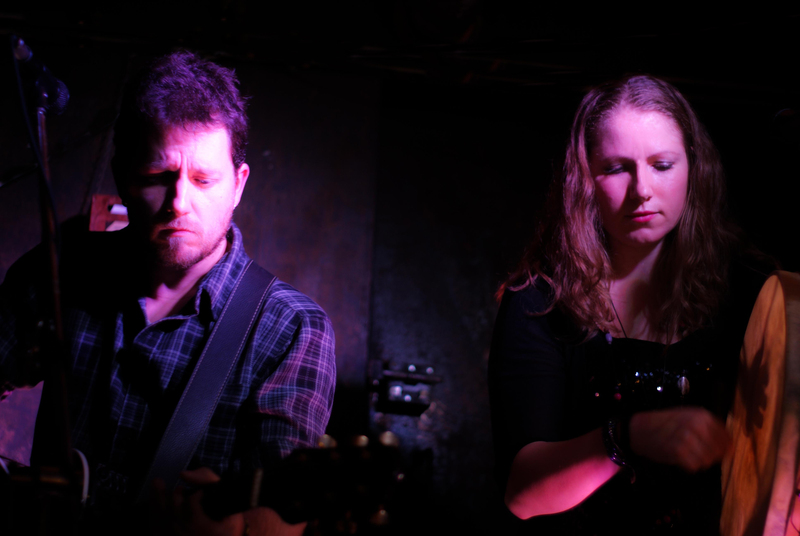 Acoustic duo or semi-acoustic full band (with bass and drums).